Was Ted Cruz's dad (right) in cahoots with Lee Harvey Oswald? We'll never know (but probably not). Unlike other candidates running for president, Republican frontrunner DONALD TRUMP will dance with conspiracy theories. He's stated that he knew of a 2-year-old boy who developed autism after receiving a vaccination. He's flirted with the idea that there was foul play surrounding the unexpected death of Supreme Court Justice Antonin Scalia in February. He embraced the idea that President Barack Obama was born in Kenya. Most recently, while campaigning in Indiana, Trump brought up a conspiracy theory suggesting that the father of Texas Sen. TED CRUZ, his chief rival for the GOP nomination, was connected to the assassin of President John F. Kennedy. 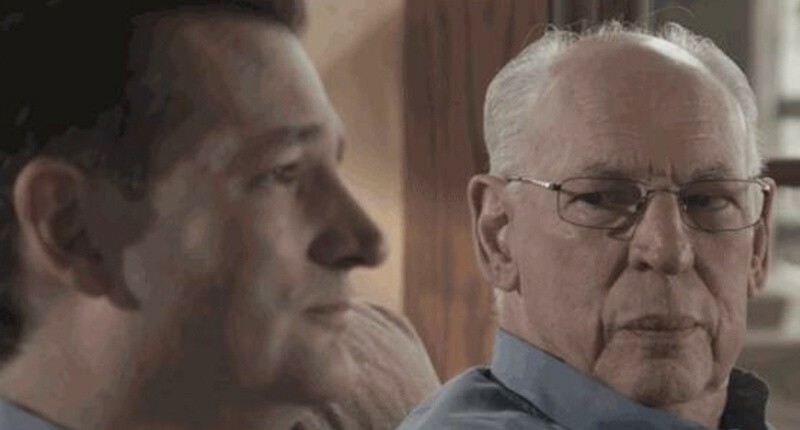 During an interview on Fox News, Trump was asked about Rafael Cruz Sr., a pastor who has been trying to secure the evangelical vote for his son. Trump responded by bringing up support he enjoys among evangelicals, before referencing a report in the National Enquirer claiming to have proof that the senior Cruz was handing out leaflets supporting Cuban dictator Fidel Castro alongside Lee Harvey Oswald, Kennedy's assassin. There are certain things we all know about this year's presidential race. HILLARY CLINTON can be awkward, even embarrassing, in her attempts at relatability. Sen. BERNIE SANDERS is a Democratic socialist. Sen. TED CRUZ is not a normal person, in that most normal people know what you call the circular metal object that tall people in uniforms toss basketballs into. And DONALD TRUMP loves being the center of attention. These are all points that President Barack Obama, being the jokester that he is, delivered with deft comic timing at the White House Correspondents' Dinner on Saturday night. He compared Clinton appealing to young voters to a relative trying to figure out Facebook: "Did you get my poke? Is it on my wall? I'm not sure I'm using this right. Love, Aunt Hillary." He called Sanders his "comrade." He mocked Cruz for calling a basketball hoop a "basketball ring" in basketball-crazy Indiana. Finally, he remarked that Trump actually had plenty of foreign policy experience, from meeting with world leaders like Miss Sweden and Miss Argentina.